If you are a small business owner, you know the difficulty of marketing with a small budget. Well, Shelving.com is here to help you organize your business with three helpful tips on how to reconsider your marketing mix and try to make the most of the money you’ve got. It’s not enough just to advertise, you have to organize your store, get people in there, make sure they buy, and keep them coming back. Nobody knows more about your business than you. It began as a startup in your garage and then you used your rockstar entreprenuer powers to expand to a storefront. After all that work, you’ve become biased against your store. Take a step back, forget about all the time and energy that you put into it, and walk through the store like a customer. Suffer from a brief bout of amnesia and look around with unbiased eyes. Question the structure of the shop from a customer perspective: Is it easy to navigate? Are sections clearly labeled to guide you through the buying process? Can you get all of the information you need to make a purchasing decision? Once you have walked through the front door as a stranger, you will be able to see how to improve the organization of your business. You’ve got your store ready for the browsing, but nobody is walking through the front door. Rather than call on the mystic powers of Super Bowl advertising, turn local and get creative. Whether your company is online or brick and mortar, you have to live somewhere! One of the greatest things about your small business is that you started it in your town. Get involved in your community, sponsor an event, host a dinner, create a t-shirt to hand out at a parade, buy some chalk and pay a couple of high school art students to create a really unique mural. Start the conversation on a personal level; generate a buzz about your business by getting involved. Capitalize on the buzz about town by offering specific deals to your welcomed guests. 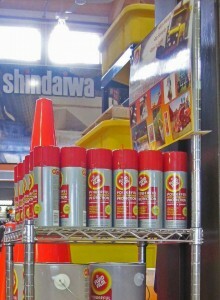 Make special items and sales apparent to your customers by drawing attention to them in a separate display. Handwritten signs (or hand drawn jpegs) are a great way to hit all three tips: provide useful direction, keep it personal, and call out a special deal. Organize these displays on end caps or in larger areas with wire shelving racks. One of our local customers used our wire racks to create great display shelves and loved it. 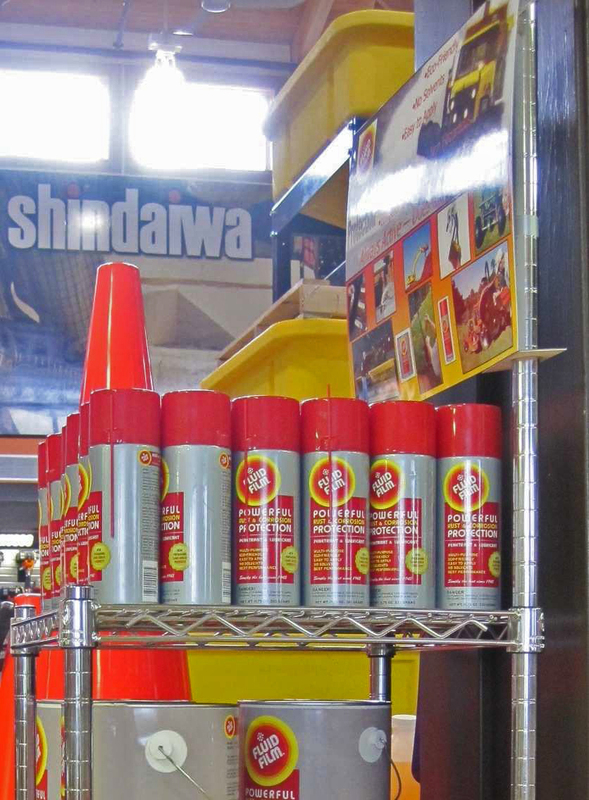 Since pulling the product off the shelves and putting it on a display, the store has seen an increase in sales volume for that style of lubricant. Marketing for your small business doesn’t have to cost a ton of money. You can grow your business with a small budget by cleaning up the store navigation, getting personally involved with the community, and putting your products on display. The largest investment you can make in your business is your time. To convolute a few adages: if time is money, and it takes money to make money, then it takes time to make money. Spend your time making more money.